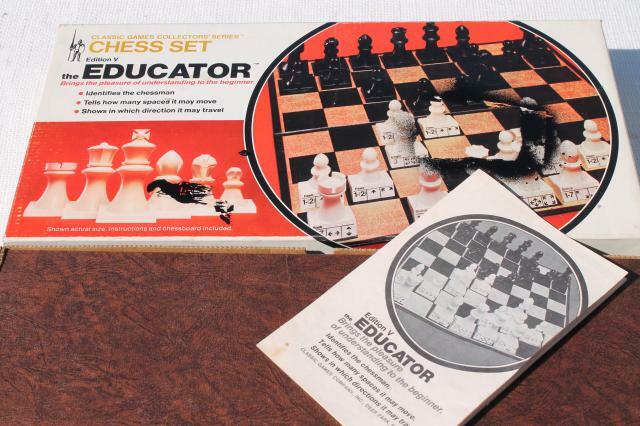 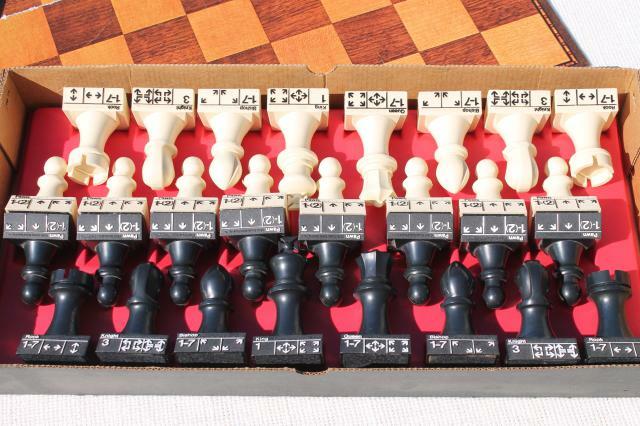 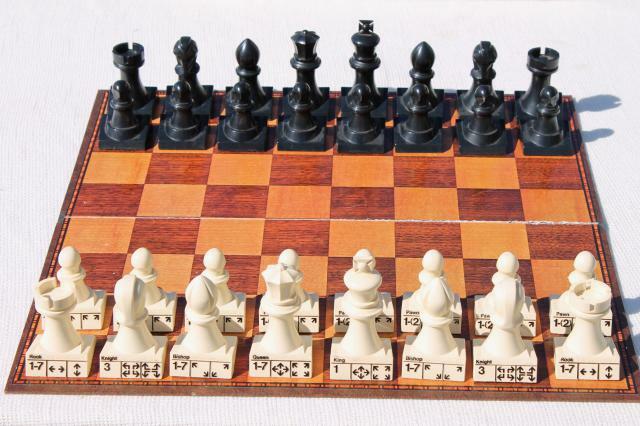 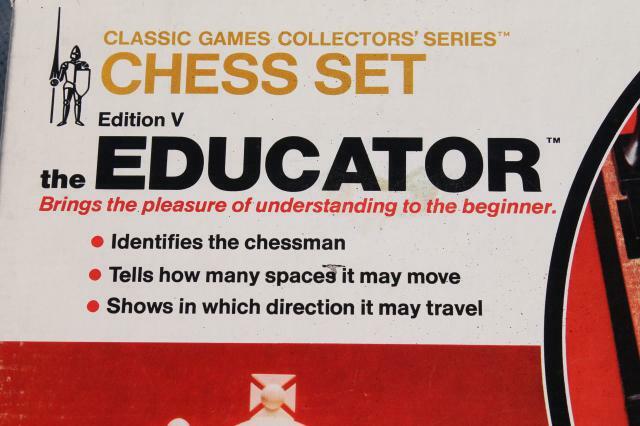 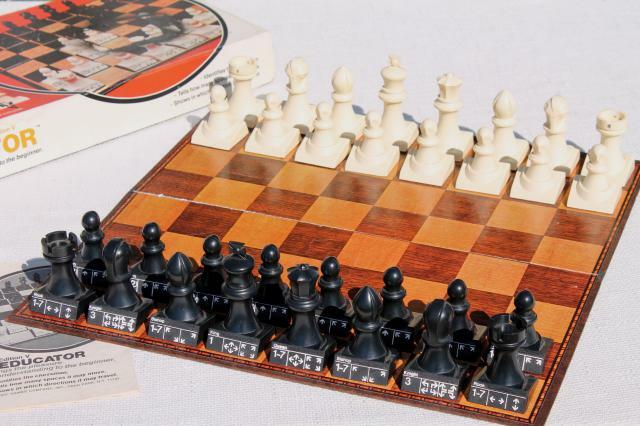 Vintage Educator chess set complete with numbered pieces and instructions. 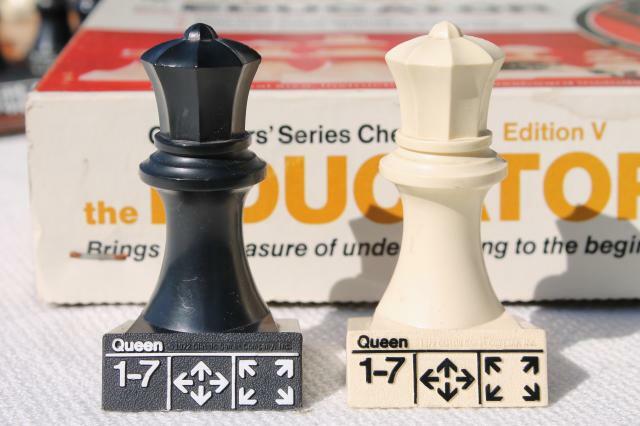 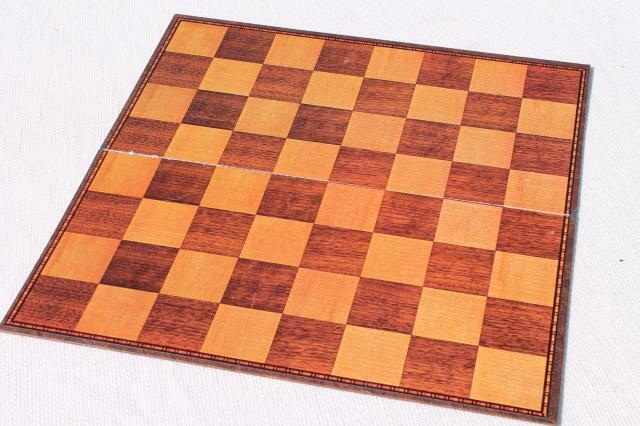 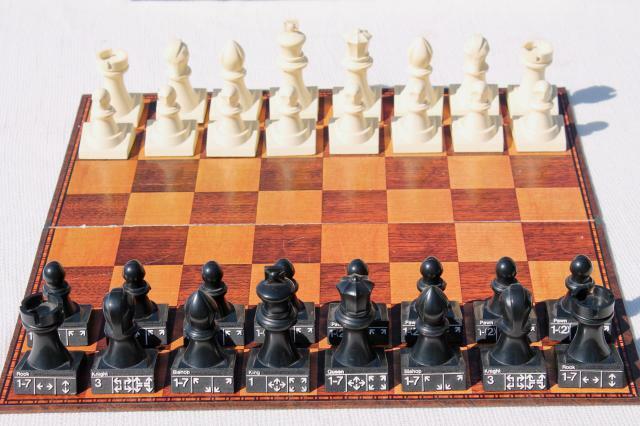 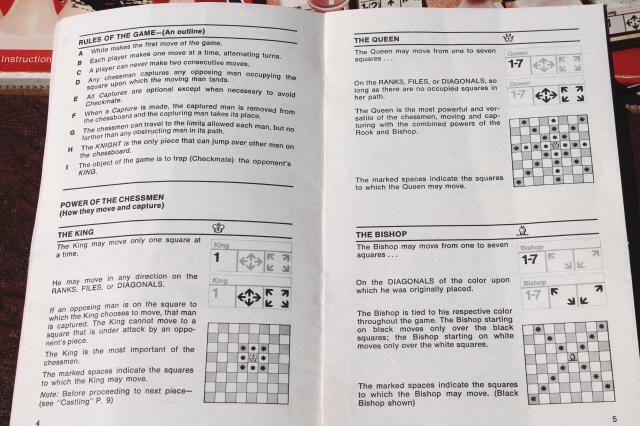 This is nice to introduce newbies to the game, or just to brush up your skills if you haven't played chess in a while! 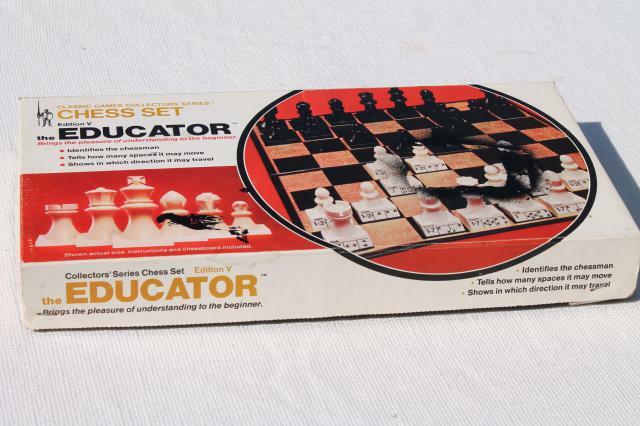 The board and plastic game pieces look very good, though the box has a little wear.